Those who follow this blog remember two recent posts which came from a big batch of photographs and documents associated with the Upton family, Daniel Stone and Ella Crouse and 1506 Church Street. The family was centered around south Baltimore City and Anne Arundel County. I bought the material at an antique store in Baltimore. Diving into a big batch of material is a lot more fun than working with one photograph or document. 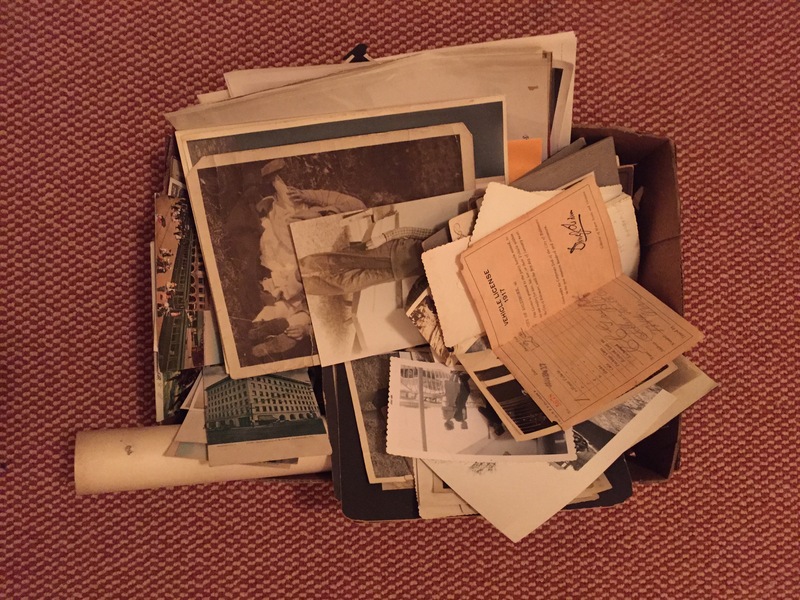 A real family out in the world branches in all directions, but a box of photographs and documents creates a virtual family limited by the interests of, and resources available to the family history buff who originally collected the material. There were more than 100 photographs and documents in the box. I was working my way around the edges, blogging about people on the periphery of the virtual family’s core as I built a family tree to figure out who everybody was and how they were related. The photograph that was going to be the focus of my third blog post from this material depicted a bride and groom on their wedding day in 1947 and the bride’s parents. My research led me to discover that the bride is still alive at 93. Then, incredibly, one afternoon as I was boring my wife with the details of what I had learned about the four people in the photograph, she told me she is acquainted with a daughter-in-law of the bride. After a couple of weeks of exchanging emails with the bride’s son, today I packed up the whole mess and shipped it off him. He is very interested in genealogy and luckily has his mother, and her 91-year-old brother, to help him with his research. That is indeed an amazing story.